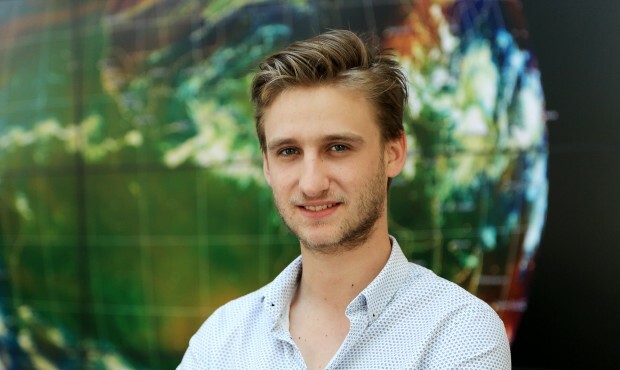 Interview with Jonas Cuenin, communications intern at EUMETSAT. I am a 24 year old Frenchman that recently graduated with a Bachelor in Media Arts from the Royal Holloway, University of London. I like to shoot videos, especially working on sound. What does your role as communications intern involve? As an intern in the communications division I helped out with events and administrative tasks. However, my main project was the production of the “Inside EUMETSAT” video blog (vlog) series, a first-off for myself but also for the team at EUMETSAT. What skills and personal qualities are important for this role? For the vlog part in particular, I would certainly say that one needs to have a great lot of creativity together with a certain ease in front of and behind the camera. Another skill to have is being able to script a story and finally, but most importantly, it is crucial to have experience in editing footage. Editing can always save the day. I really liked filming the series and being free to come up with my own project and concept. The communications division was very receptive: they provided me with all the material needed to shoot and were very open to listen to my ideas. Can you talk about your experience in making the “Inside EUMETSAT” vlog series? What was the part that you enjoyed most shooting? The first three weeks were very challenging as I had never done anything like a vlog: it was a new area and a big challenge and I had never envisioned myself as being the protagonist of a YouTube video. But I like challenging myself and trying out new things so I gave it a shot and it turned out to be a great experience. One of the coolest moments I shot was the control room tour with Phil Harvey. It was great to have the opportunity to see where it all happens and to have a guide as experienced as Phil. On top of that I also enjoyed filming the time lapses that are a recurrent theme during the series. As far as video-making/vlogging is concerned, one must definitely like to film and must be open to experiment and think outside the box. I find that experimenting leads the way to finding your own style, which is an important component for those who wish to make a career out of it. It is crucial to be original and not to copy the style of others. Personally I really enjoyed making the videos but I am more of a sound person, therefore I would like to work in the sound domain. It is a very difficult and competitive field but I would like to give it a shot. 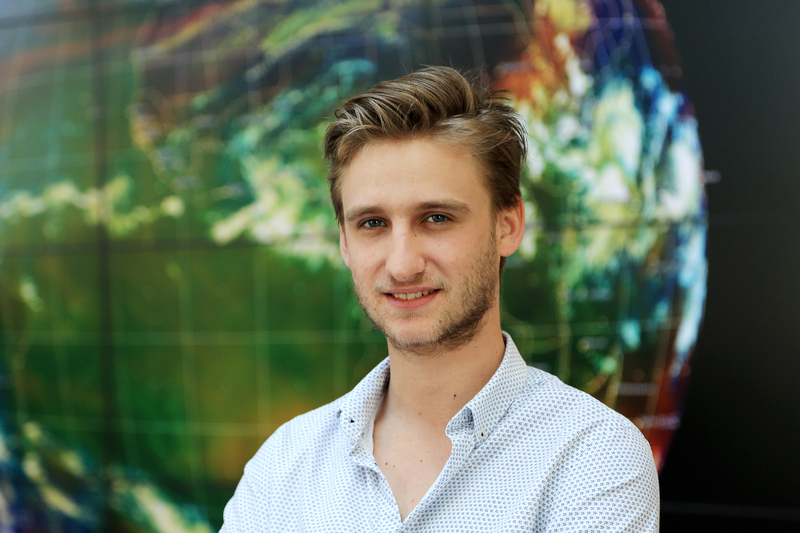 And from the EUMETSAT team: Good luck Jonas with your future endeavours!